Though many of us were hoping for this year to be a brighter one, but it seems that our hope were crushed so many times in just this past month. So many of us were losing hope and thought a happy ending for our boys was impossible. But, thankfully, Jaejoong has finally expressed his feelings towards the situation, but in a rather short and subliminal way. To congratulate the four-year anniversary of his official fan page, Melite Hero, he gifted the site with his autograph plus a very short, yet amazing message. I thank you every time. Yunho. Changmin. 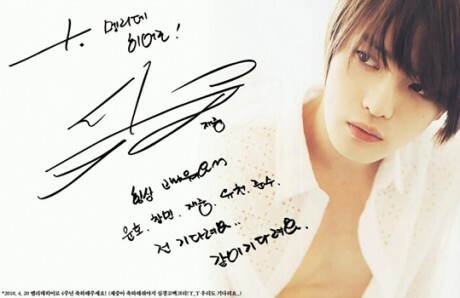 Jaejoong. Yoochun. Junsu. The fans who already saw this message immediately expressed, “TVXQ is the best when there’s five”, “All we can do is just wait”, “We will wait for you”, etc. 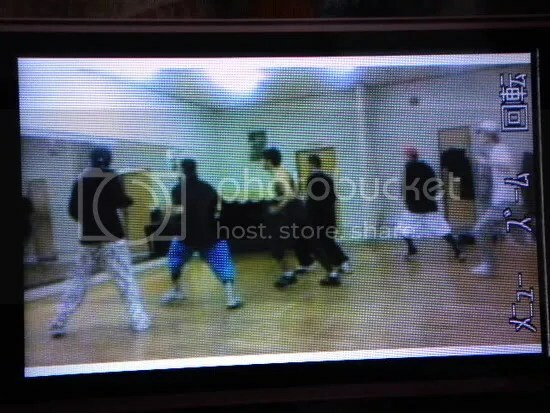 Yesterday, after the magazine promotion there was a dance lesson! Before filming the music video Junsu’s face and body shows power! The dancers seem to have trouble keeping up with Junsu teachers tension *laugh*. I warned him to rest without singing…then Junsu all of the sudden started doing a hand stand. Junsu wont stop~, somebody stop him~~!! Junsu was dancing alone during the magazine photo shoot! It seems that he cant wait for the dance lesson..! This is the Japanese word Junsu learned recently☆ this story is just between us! Pops in Seoul broadcasted by ArirangTV. Who was on this chart ? Master of romantic guys, Micky Yoochun !!! Eita and Ueno Juri plays soccer! Jaejoong crashes into the pole? This is the off shot of “Sunao Ni Narenakute”’s Nakaji(Eita), Haru(Ueno Juri) and the other twitter friends play soccer. Tamayama Tetsuji passes the ball to Eita and Eita showed an easy but beautiful step. Jaejoong who saw that asked “how do you do that?” and imitates him but didn’t go well…? Also at the scene where Doctor(Jaejoong) becomes shy and puts his head against the pole, but Jaejoong bumped into the pole with full strength and hit his head saying “ouch *laughs*”. Even after that the rehearsal continued. Seki Megumi who was at the goal got in and the 5 played around. Look forward to the 5 that has a stronger bond! For the 2nd episode(airs 4/22) the 5 that got drunk plays soccer. We will share the off shot scene! Jaejoong who got the ball passed by Eita said “That surprise d me! From the back!?”. Eita crossed his legs and showed a killer pass and Jaejoong was getting taught right away! 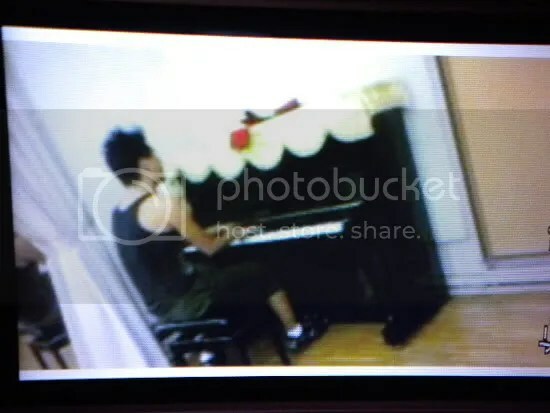 Jaejoong&EIta pic: Eita lectures on the how to do the hard kick “like this?” and practices. [NEWS] Cell Phone Broadcast Bee TV’s First Drama Theme Song. Tohoshinki’s XIAH JUNSU(23) is going to sing the theme song title “Kanashimi no Yukue” for the new drama “A Lover Letter 5 years from now”. This was announced on the 22nd and the song will be in his solo single that is going to be released on 5/26. The drama’s main character’s are Mukai Osamu and Uchiyama Rina. Mukai plays character Shimura Ayumu who passes away from a illness and couldn’t wait for his son to be born. Uchiyama Rina plays the wife, Nao. Uchiyama said “A mother character, this is my first time fully playing a pregnant character. Im playing a character that gets pregnant and I felt that having a baby is really nice. The story makes you cry but its a warm story. Please watch it”. It’s smart’s Jack Shield, Igarashi Shohei! Appearing before on smart’s April issue and causing a lot of attention, our Junsu is going to be on smart again!!! After approximately three months since appearing on smart, that big maison’s feature will surprisingly have a special star part of the project!! And of course, we will definitely do a present project!! In truth, i’ve done a report of the shooting studio with pictures, and please wait a little more for it! We’ll definitely show it here in this blog! All in all, Junsu’s photoshoot had only just ended, so i’m still excited. 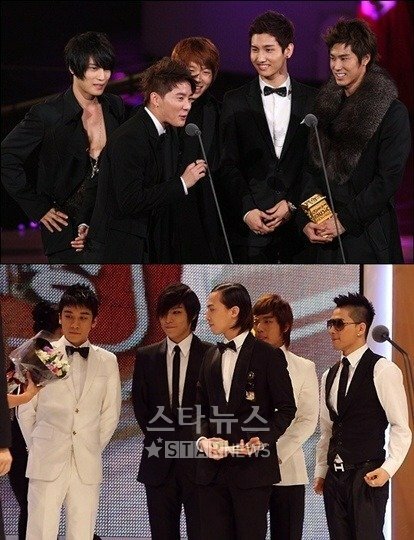 TVXQ and Big Bang have been nominated for awards at the MTV World Stage Video Music Awards Japan (WS VMAJ). According to MTV Japan, TVXQ’s ‘Share the World’ has been nominated for ‘Best Group Video’ along with the works of other artistes such as the Backstreet Boys, Black Eyed Peas, and Japanese rock band Remio Romen (レミオロメン). TVXQ has sold over one million copies of their most recent two singles and one best album in the first quarter of this year. But they announced a pause in their group activities in Japan earlier this month and many are uncertain as to whether all five members will attend this awards ceremony together. This year’s WS VMAJ will be held on May 29th at 6 p.m. at the Yoyogi National Stadium in Japan.